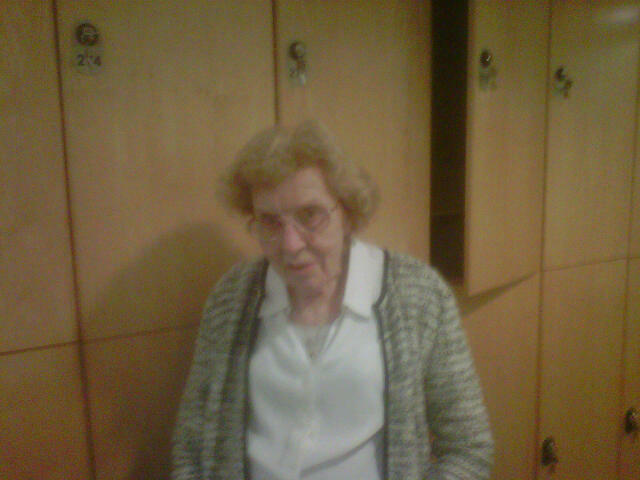 My newest, oldest pupil Margaret, who is 89, had her second swimming lesson with me today. I usually get people to put their faces in the water at the very beginning of working with them as being able to do this is key to good swimming. Last week Margaret told me that she didn’t like to put her face in the water. A teacher pushed her into deep water as a child and she has never forgotten the fear she felt as she was under the water. I decided that perhaps at 89 she was too old to overcome this fear and so I decided not to ask her to put her face in the water. I thought we would just gently swim up and down for a few minutes with Margaret swimming on her back, as she prefers, and me walking along beside her in the water, to offer reassurance. I thought that would be enough. About 15 minutes into the lesson Margaret told me that in fact she used to be able to put her face in the water and had even taken part in the school swimming gala. I said to her ‘Why don’t you try putting just your nose and mouth into the water?’ She did that with no trouble. Then I suggested she close her eyes and submerge her whole head. She did it without a murmur. ‘Well I didn’t expect you to do that.’ I said. ‘You told me to!’ ‘Yes but I didn’t think you would actually do it.’ The lesson was more or less at an end and so I guided Margaret towards the steps. I was about to lift up the lane rope for her to walk under it. ‘Don’t do that.’ She said ‘I’ll go under’ and she dipped down and swooped under the rope with her whole head submerged. After that she wanted to try to glide into the side with her head in the water as she had done as a child. In fact she lost her nerve and couldn’t quite do it. ‘But next week’ she told me.